When you want cigars that are a little different and a little exciting, then you want Red Buck cigars. From the unique red colored filter to the familiar Red Buck logo on every cigar, this is a line of products that will give you something new to try and something exciting to enjoy. Red Buck uses only the highest quality tobaccos and the most unique blends to get a flavor that you will not forget. If you want flavored cigars, then Red Buck has you covered. Give the Red Buck wine cigar a taste and see how that turns any evening into something special. 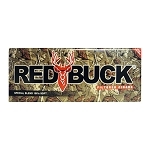 Red Buck also offers tastes such as cherry, blueberry, and menthol to give you a variety to choose from. With Red Buck cigars, it is all about variety. Not only does Red Buck offer a wide array of flavors, but you can also choose between hard and soft-tipped cigars as well. The red tips are the hallmark of the Red Buck line, but you can also enjoy a soft-tipped cigar and still taste the quality that goes into each one. Red Buck has created a line of cigars that has something for everyone. From the Premium Robusto cigar to the Full Flavor ST variety, you are going to find a cigar that meets your taste needs and exceeds your quality expectations in the Red Buck line. The Red Buck line of cigars has come to mean quality for a price that everyone can afford. The next time that you need a cigar that offers a full-bodied taste and the kind of aroma that you can enjoy, then you need to get yourself a Red Buck cigar.